Not Verified | Sapporo to Taipei. Everything is enough for a comfy flight, although there are always people lining up for the restroom after the meal. The width is okay, but the legroom is incredibly big. Service is one of the best I've ever had, they even offer free alcohol, coffee, and drinks. The meal is amazing. "enough leg room to stretch"
✅ Trip Verified | This was my 4th time on a long haul trip from Houston to Taipei on EVA Air and for the most part I have been using seat 64G on all trips. 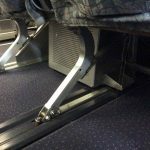 This is an aisle seat that allows for easy movement to the bathroom in the rear of the plane as well as to move about without bothering anyone. The entertainment on the screen was excellent as well as the sound and the selection. The seat reclines enough to allow me to sleep for several hours and I felt rested when i awoke. There was enough leg room to stretch and exercise on the seat. All in all it was a great travel experience on this seat. "more than enough leg room"
✅ Trip Verified | Comfortable seats on both legs of my journey from IAH to KUL via TPE on Boeing 777 and A330. Although I had an emergency row seat on the leg from IAH to TPE, I noticed the other seats were with enough leg room, the width was acceptable, therefore I did not feel cramped in there. On the second leg there was more than enough leg room for me not to feel cramped. ✅ Verified Review | This is my first time taking EVA. The seats in the front row of the Elite Class (Premium Class) were very comfortable. Sleeping on planes is rare for me but I managed to sleep for about 8 hours of the 13-hour flight and was very comfortable. I am amazed at how nice this Premium Economy seat is. 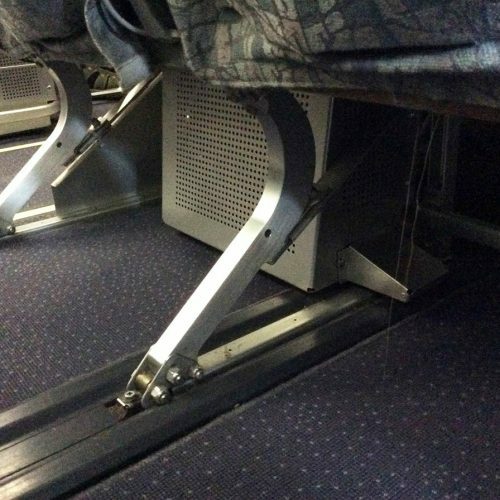 Because it was the front row, the seat had a leg extension that came up like a lazyboy. The recliner was also the furthest back I have ever been able to recline in any economy/premium economy class seats. ✅ Verified Review | The seat is very thin and simple but quite comfy. It is spacious, more spacious than expected, plenty of legroom and width. However, there is no personal inflight entertainment. There is no socket. As a narrowbody aircraft and for a short flight, it is pretty good. "new seats was quite tight"
❎ Unverified | San Francisco to Taipei. Exit row in the first part of the Economy Cabin. While the space in front was no issue, the layout of the new seats was quite tight given the 3-4-3 configuration on this Boeing 777. Service on this flight was good as usual, with EVA attendants being thoughtful and went throughout the cabin multiple times to offer water etc. during the night. The IFE system could have used some more options though for a 13 hour flight. "premium economy the best choice"
✅ Verified Review | Manila to Taipei where I flew in a premium economy seat and from Taipei to New York City where I flew in a regular economy seat. I have to say that by far the premium economy seat is the best choice because it is double padded and a little bit wider. The premium economy cabin is also separated by curtains which gives you the feeling of a less crowded space thing that can be very helpful on a transpacific flight. The regular economy seat was comfortable however any seat that you spend 14 hours on at some point will not be comfortable. The screens are very nice however their movie selections can be better. (I make this comment taking into consideration that I live in the USA so I'm commenting on their Hollywood choices.) Overall the seats on EVA are much better than any US based airline I have flown. "legroom is pretty good "
The seats were okay, no footrest provided. They recline and are not too narrow. Legroom is pretty good but a footrest would have been a lot more comfortable. 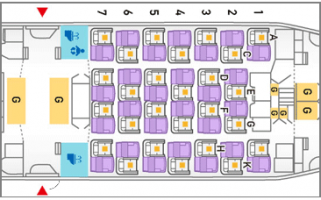 The seat layout in 777-300ER's (3x3x3) are more spacious than some aircraft. "IFE equipment under the seat"
EVA Air is a great airline, great service etc., but on this plane the aisle seats in economy have severely limited leg and underseat storage because of a large IFE equipment under the seat in front of you. They need to fix this, because it makes an otherwise reasonably comfortable seat horrible for anyone of average height or taller. 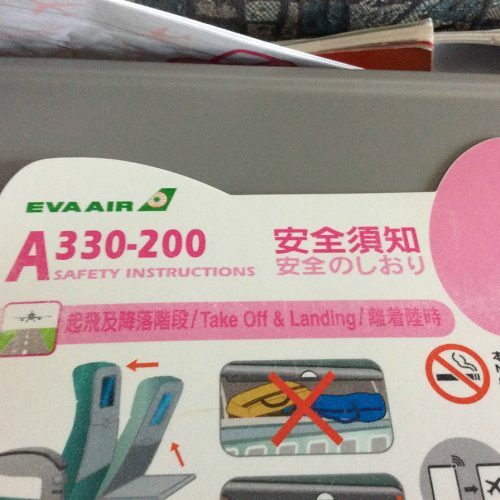 "heartily approve of EVA's seats"
My wife and I flew on EVA Air roundtrip from San Francisco to SIngapore. All legs of the trip were on EVA's 777-300ER and we were in regular economy on all legs. From Singapore to Taipei, we were in seats D & E in the main cabin. I actually prefer EVA over Singapore Airlines because, at 6'2" tall, I need every inch of legroom available, and EVA has one extra inch of Singapore. 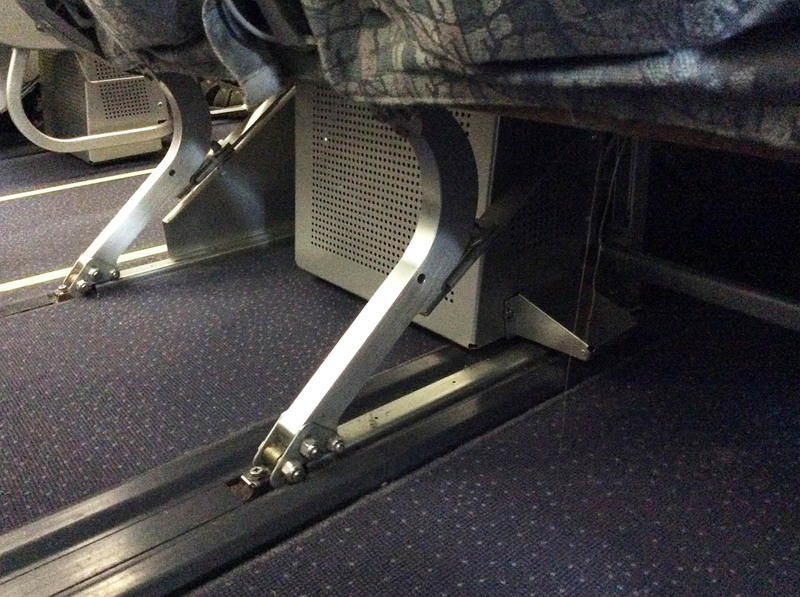 The only downside to seat D is that the AVOD box is set squarely in the middle of the floor in the seat well. But at least I could work my feet around it and it was only a 4 hour flight, so it wasn't too uncomfortable. On the long haul from Taipei to San Francisco, we got very lucky and were in seats D / G with no one in between us. My wife, who is only 5'2" tall and really doesn't need legroom, gave me seat G, and she took D. The AVOD box didn't bother her at all, and we both had ample leg and seat room with no one in the middle seat. I usually can't sleep too much on planes, but for the 10 hour flight from Taipei to San Francisco, I actually slept about half the time. So I heartily approve of EVA's seats.